Join us for our morning Bible study that begins October 4th and runs until November 8th. 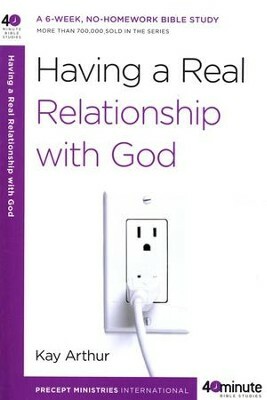 We will be studying “Having a Real Relationship with God” by Kay Arthur. It is a 6 week study from 9:30am to 11:00am. Sign up in the lobby at the Women’s Ministry Table. Books will be available to purchase.